Editorial committee: Aurélie Besson, Matthew Biederman, Andrée Duchaine, Ying Gao, Daniel Langlois, Dominique Moulon and Marie Perrault. 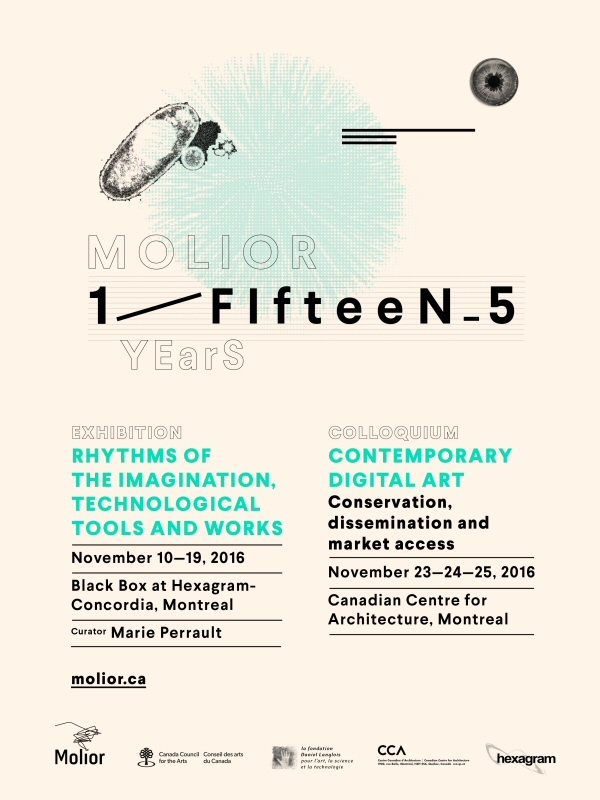 Molior celebrated its 15 anniversary with an exhibition and an international colloquium. The colloquium A contemporary Digital Art Conservation, Dissemination and Market Access a was held on November 23, 24 and 25, 2016 at the Canadian Centre for Architecture (Montreal). We are here publishing the articles and documentation prepared by several of the colloquium speakers. Through a history of the presentation and acquisition of the selected works, the exhibition also provided concrete examples to stimulate discussions during the colloquium. The featured artists were Ingrid Bachmann, Luc Courchesne, Jean Dubois, Jean-Pierre Gauthier, Diane Landry and David Rokeby. Molior would like to extend its thanks to the project partners of its 15 year anniversary celebrations: the Fondation Daniel Langlois, Canada Council for the Arts Conseil des Arts du Canada, Hexagram, the Canadian Centre for Architecture and Goethe-Institute.